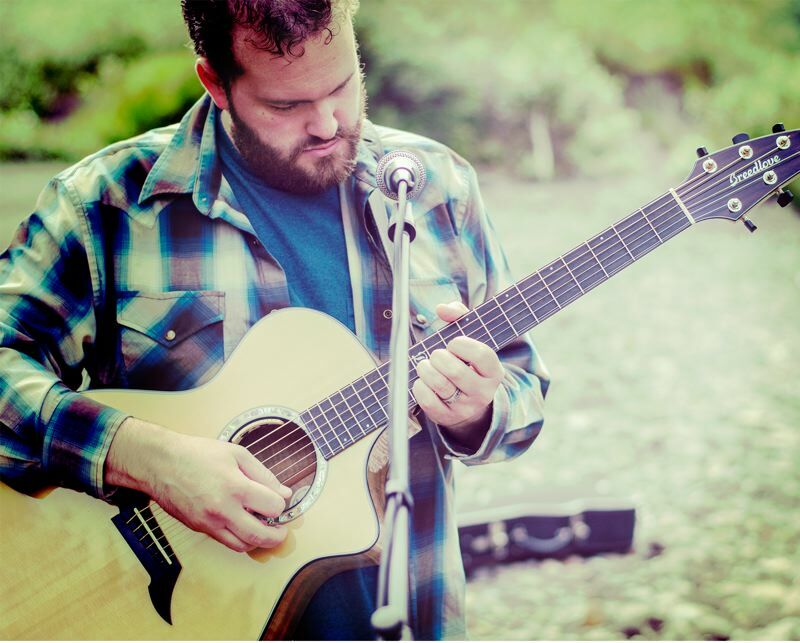 Dustin Rose plays Sunday, Feb. 18, at Music Millenium with accompaniment from special guests. When Gresham musician Dustin Rose was a little boy, his grandmother would sit him on her lap to play hymns at the piano. "Sing, Grandma, sing!" he would say. Rose was fixated for hours, learning to sing and play piano from his grandmother. Today the sixth-generation Oregonian teaches music at Multnomah Learning Academy in Troutdale and recently released his latest album, "Catch the Wind." Rose will perform new and old songs at 5 p.m. Sunday, Feb. 18, at Music Millenium in Portland, with accompaniment from several special guests. In his latest album, Rose says the music reflects a journey he's gone through to follow his dreams. "It's about the risks I should take, the chances I should take that could open different avenues and possibilities," Rose says. "As a whole, this album is a reflection of my journey with faith." "Catch The Wind" features local and national musicians, along with two guest singers, Rose's wife, Andrea Rose, and his sister-in-law, Amber Schroeder, the choral director of Barlow High School. Rose was born in East Portland and has lived in the Gresham-Rockwood area for most of his life. He and Andrea have four children and enjoy performing together. The Roses wrote the duet "My Father's House" to raise awareness about Gresham's nonprofit shelter program by the same name. It's an organization dear to their hearts that they have supported since the early 2000s. Rose has performed for more than 20 years as a solo act and with bands including The Noble Ghim, Gemini Space Traveler, and most recently, Wilson Fifer Rose. His music has been described as transporting audiences to "a place where things seem more simple and clear." "I tend to draw to the music that has real instruments that are a little more traditional," Rose says. "If you can get an audience to understand the meaning and feeling with one guitar and a couple of voices, that's a sign of good music — of heartfelt and honest music." Rose cites Joni Mitchell and Bob Dylan among his top musical inspirations, noting their pioneering influences in folk and rock. During his career, Rose has performed at venues such as Memorial Coliseum in Portland and The Northwest Folklife Festival in Seattle. He often plays at wineries and other public events throughout the West Coast. This summer, Rose plans to do a small tour throughout West Coast states and potentially into Idaho and Nevada. His band Wilson Fifer Rose is working on an album that will be released in later 2018 or early 2019. This marks Rose's fourth year of teaching music at MLA. He enjoys having the opportunity to pass on the love of music his grandmother gave him. "My approach (as a teacher) is to be more like a coach — to show the passion and love I have for music and what music has done for me," Rose says. "I caught the music bug from my grandmother and music teachers. If I can somehow get them to catch that passion for music, it'll become part of their lives and part of their journeys."